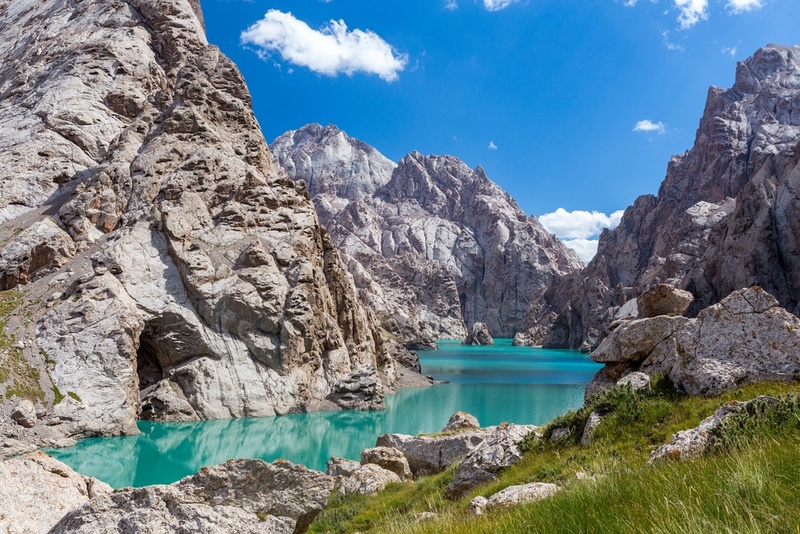 Affectionately nicknamed for its towering peaks and wide open spaces, Kyrgyzstan is a country that is just starting to make its mark as a must-visit destination for adventurous travelers. With visa-free entry, affordable prices, and authentic cultural immersion programs in place, it’s no wonder this nature-rich country is beginning to gain notice. Kyrgyzstan’s terrain is 80% mountains - made up primarily of the Tian Shan Mountains. Glaciers cover 4% of the country, and a mere 8% of the land is cultivated, making this destination an outdoorsman’s paradise. Although principally a summer destination (May - October is the best time to visit), these mountainous landscapes also offer pristine skiing and snowboarding opportunities, meaning a visit to Kyrgyzstan is welcome any time of the year. The history of this country stretches back as far as 2000 years, and for the majority of Kyrgyzstan’s past, its primary dwellers have been a nomadic people, often living in yurts and tending to their herds of animals. In 1991, the country became a sovereign nation after the dissolution of the Soviet Union, and today is made up of ethnic Kyrgyz, Uzbeks, and Russians. Due to its rugged mountainscapes and craggy cliffsides, Kyrgyzstan has been geographically isolated for many years, which has allowed its ancient traditions to be preserved. Furthermore, with its privileged location on the Silk Road, this destination offers visitors the perfect mix of stunning nature and intriguing culture. Lake Issyk-Kul is found about 5 hours from Kyrgyzstan’s capital, Bishkek, and is the second highest alpine lake in the world. Encompassed by the snow-capped Tian Shan Mountains, the scenery here is truly unparalleled. Although Kyrgyzstan is the world’s furthest country from an ocean, Lake Issyk-Kul’s sandy shores provide locals and holiday-goers with great sunbathing conditions and excellent sailing. The lake is an astonishing 660 meters deep, which combined with its salinity, and some thermal activity, means it shockingly never freezes over. Be sure to go for a cruise on the lake, discover the nearby petroglyphs left by ancient tribes, and go for a refreshing swim in the surprisingly salty waters of Lake Issyk-Kul. While there are hotels and some hostels available in the country’s larger cities, the most available, and authentic, accommodation option in the country are homestays. A “yurt” is a circular tent-like structure which can be portable, and is the traditional house used by nomads in Kyrgyzstan. When visiting a local community, you will most likely have the chance to enjoy the unique experience of sleeping in a yurt. 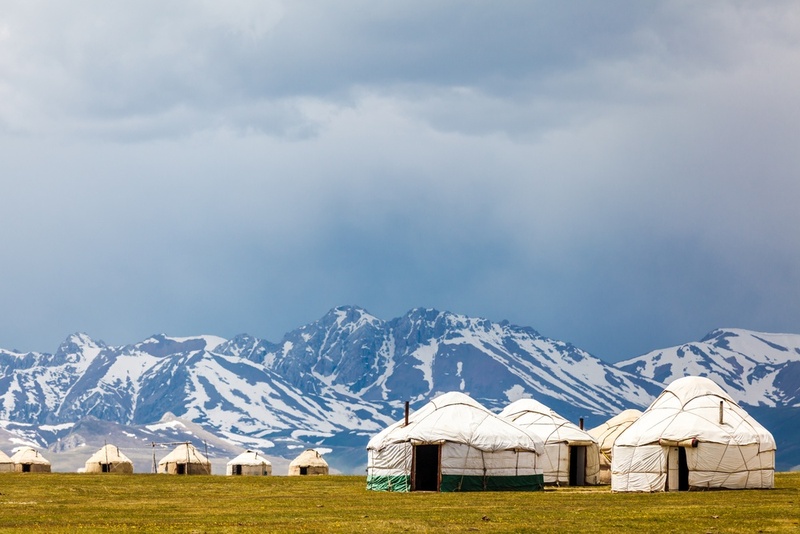 Providing you with almost total immersion and a better understanding of the Kyrgyz culture and history, an overnight stay with a local family, dining on traditional foods, is sure to be a once in a lifetime opportunity. 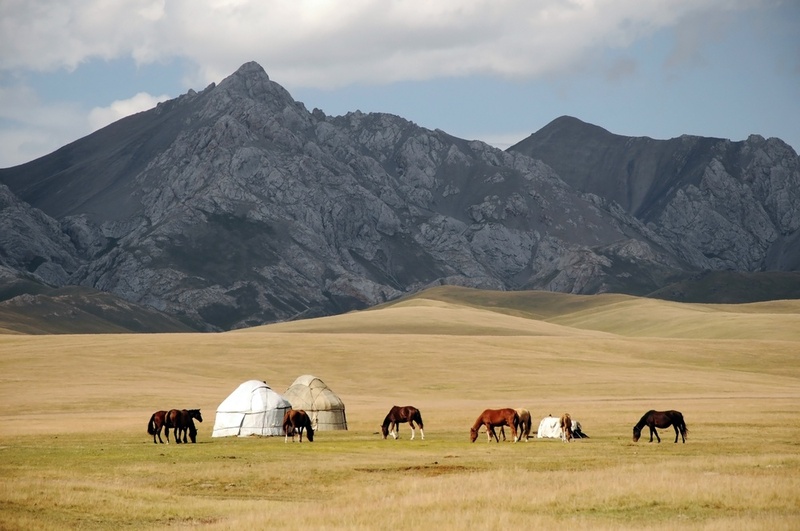 Horses have always been a huge part of Kyrgyz’ lives. Even today, a large portion of Kyrgyzstan’s population are skilled horsemen. Because of this, there are seemingly endless locations where you can explore the beautiful countryside on horseback, with the help of a local guide. Venture on a day-trip or a multi-day trek as you saddle up and traverse the raw alpine landscapes of the country. 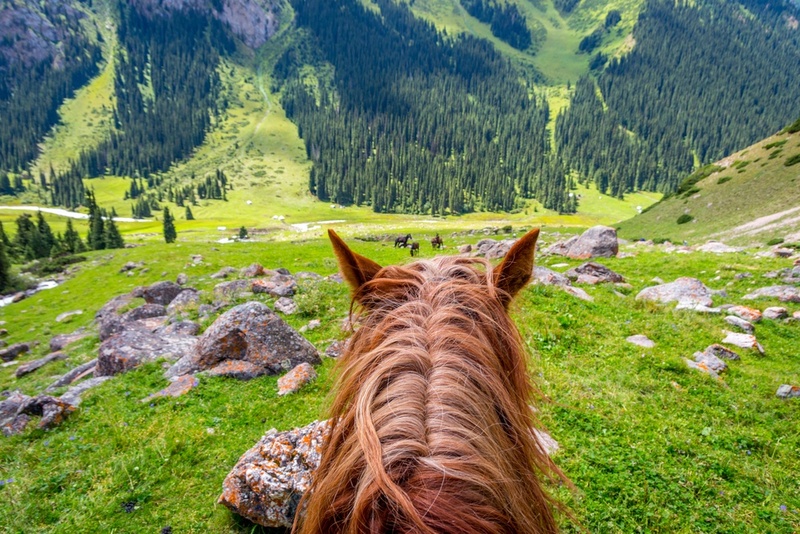 A few of the best places for horse trekking are Kyzart, where you’ll cross a 3,700 meter pass and ride down to Lake Song Kol, Jyrgalan, an undeveloped adventure hotspot and perhaps the best off-the-beaten-path destination in the entire country, as well as Karakol, Kyrgyzstan’s premier trekking and hiking location. For those looking for even more wild nature, check out Lenin Peak, on the border with Tajikistan, the Fergana Valley, and Arslanbob. What would a trip to a foreign land be without tasting the local cuisine? Although Kyrgyzstan, and Central Asia in general, is not particularly known for its gastronomy, there are a few traditional dishes you must try, even if it is just once. 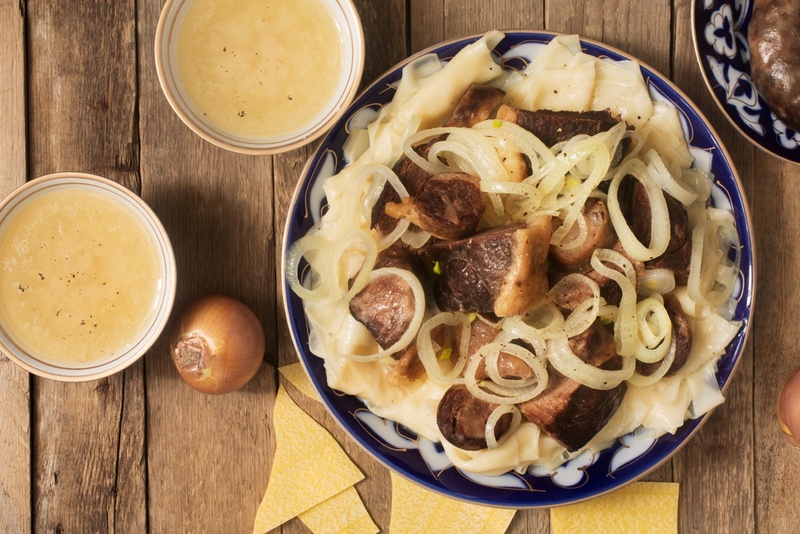 Besh Barmak: literally translating to “five fingers”, this dish is made up of boiled noodles, shaved lamb or horse meat, and onion broth, and is meant to be eaten with your hands. Plov: originally an Uzbek dish, plov, or “pilaf” is spiced rice topped with shredded carrots, fried onions, and boiled meat prepared in a cast-iron pot. Borsok: a delicious local staple, common during the holidays, borsok is made from puff pastry dough cut into tiny squares and drizzled with cream. Kumis: made from fermented horse milk, this strong drink is salty, fizzy, and truly unique to Kyrgyzstan. Bishkek is not only the country’s capital, but also its largest city, with a population of one million. 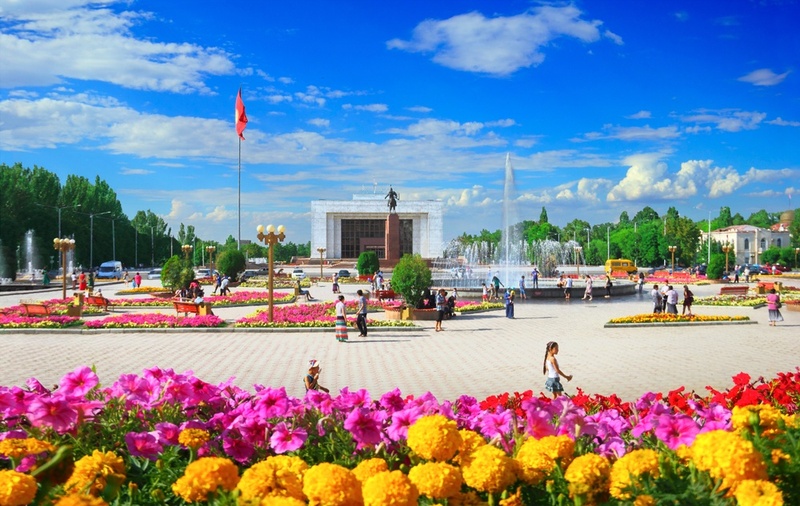 Most international flights will land in Bishkek, nestled in the northern region of Kyrgyzstan, so why not make the most of it and discover some of the city’s top sites and attractions? With a leafy city center dotted with parks and gardens, iconic monuments, the country’s best shopping and restaurants, and a buzzing nightlife, Bishkek has something for everyone. While in town, be sure not to miss Dordoy Bazaar, one of Central Asia’s largest markets, which will give you an inside look at local day-to-day life. 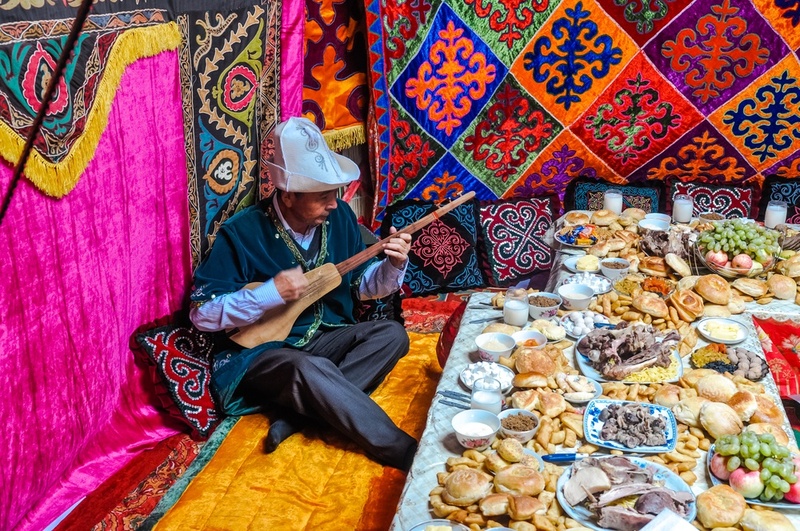 Filled with exotic foods and traditional goods, there is no better way to discover Kyrgyz’ culinary culture. While Kyrgyzstan may not be the first place that comes to mind when you think of adventure travel, the exclusive experiences this breathtaking country offers proves it is definitely worth a visit. With its unspoiled and vast landscapes, fiercely preserved culture, and untrodden paths, any visitor is sure to be spellbound by the raw beauty of this Central Asian gem!